Designed for overhead cranes in demanding or high-usage environments, energy chain is a type of electrification system that's growing in popularity. 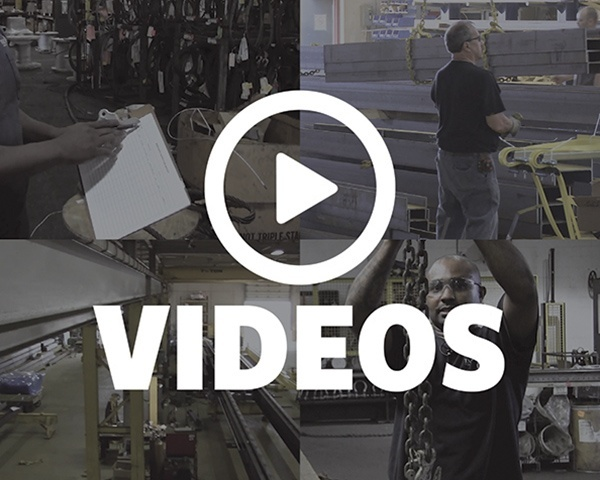 Does your job depend on maintaining the equipment in your facility to keep production up and running? 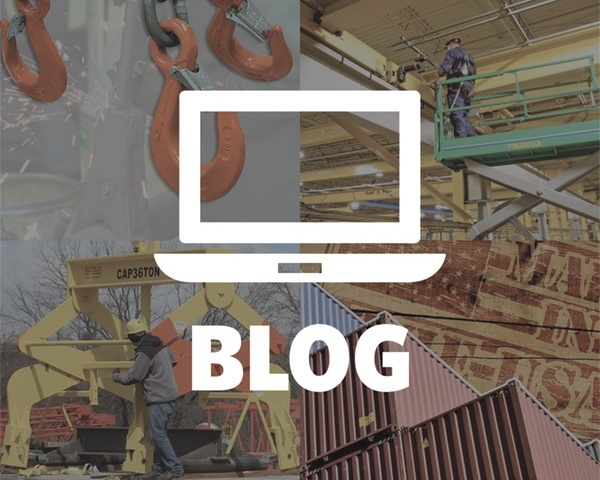 Do you have overhead cranes operating in a harsh environment? Are your cranes outdoors and exposed to heavy rain, sleet, and snow? 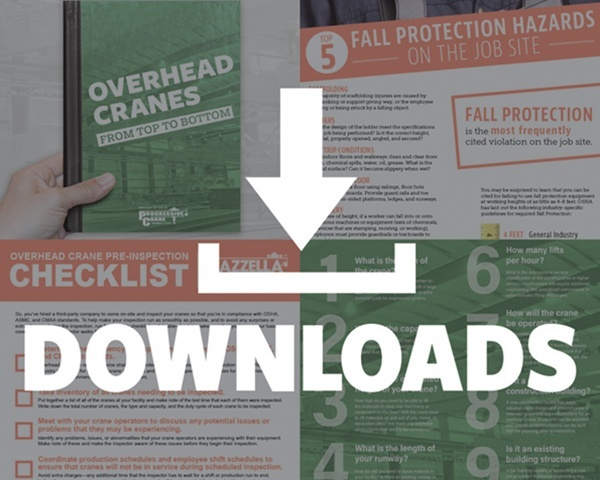 If you’re battling frequent inspections, adjustments, and repairs to your crane’s festoon electrification system, then this article is for you. 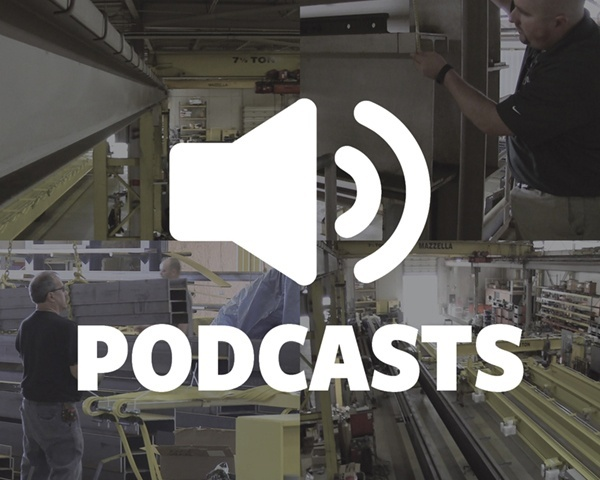 For those who worry about equipment downtime and how it’s going to affect your production schedule, then we’d like to introduce you to energy chain—a type of overhead crane electrification system that's growing in popularity. Energy chain is another type of overhead crane electrification system designed for cranes in demanding operating environments. The main advantage that energy chain has over other types of electrification systems is that it has a simple design, is easy to install and maintain, and uses components designed to resist corrosion and protect the sensitive cable used to power the equipment or machinery. What is Energy Chain Electrification and What is it Primarily Used For? Pictured here: Energy chain and a trough used to guide the chain across the bridge or runway girder. The design of energy chain electrification is pretty simple: hose or cable is inserted into a flexible chain made of metal or heavy-duty plastic that runs on a track or in a trough. This trough guides the chain as it is pulled in a linear or non-linear path by a tow arm. Energy chain carriers can be arranged to accommodate horizontal, vertical, rotary, and three-dimensional movements. The durable chain encapsulates and protects the cables from demanding work environments and reduces the risk of mechanical wear and external damage. How Did Energy Chain Start Getting Specified on Overhead Crane Equipment? On this mobile gantry crane, energy chain is being used to run power and control cable to the hoist and the bridge. The number of applications energy chain can be used for are almost unlimited, but it’s commonly used in manufacturing and industrial environments, robotics and automation, and it’s increasingly being specified on outdoor gantry and indoor bridge cranes. When energy chain was first introduced to the material handling industry, it was considered somewhat of a novelty. Mobile gantry and Ship to Shore cranes in harbors and ports were primarily equipped with festoon systems to provide power. As you can imagine, cranes being used in shipping and container yards are exposed to the worst weather and environmental conditions. High winds and heavy rains, saltwater, snow, sleet, and ice can quickly wreak havoc on a traditional cable festoon electrification system. High usage and a tough operating environment cause excess wear and corrosion to the festoon cables and components. For maintenance personnel, this requires frequent inspections, repairs, and service to the festoon cables, track, and brackets. The simple design of energy chain allows for cable to be removed, spliced, or added directly through the chain itself. It also eliminates the large cable loops required for festoon and eliminates cable stack up which can limit the travel of the hoist and bridge. Once companies started using energy chain to power their outdoor crane systems, it eliminated a lot of maintenance headaches because of its more effective and durable design—reducing equipment downtime and overall costs related to crane maintenance. 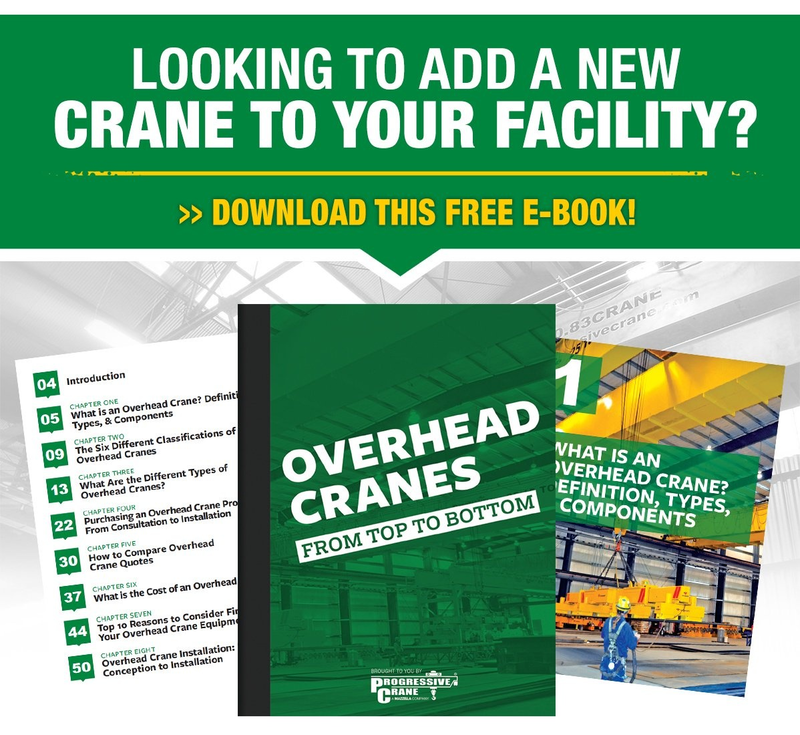 Based on its proven ability to withstand harsh conditions, its relatively low maintenance, and its simple and durable design, more engineers and crane manufacturers began recommending it for all kinds of different overhead crane applications. What are the Advantages of Using Energy Chain on an Overhead Crane System? One end of the flexible energy chain is attached to a tow arm, while the other is a fixed end anchored to the trough--allowing the chain to move up and down a track or runway. Most importantly, energy chain offers a simple clean design and a simplified installation. It’s really just a matter of attaching the trough to the main girder of the crane. From there, you run the power and control cable through the chain and lay it in the trough. One end of the chain bends into a u-shape and gets connected to a tow arm, and the other is a fixed end anchored to the trough. Installing, removing, or splicing of the power or control cable can be done easily and efficiently to simplify installation and reduce equipment downtime. In a manufacturing or high-production facility, energy chain can be a great option for crane electrification. It eliminates the flat cable that hangs off of a festoon system—which can potentially get tangled or caught on nearby equipment, machinery, or other obstructions. It’s also ideal for applications with low headroom or for facilities where you need to utilize workspace under the crane. In some instances, it may make sense to pay more upfront for a streamlined energy chain design, which will help offset the costs of a difficult installation or frequent maintenance and inspections. Different configurations of the chain are available to provide additional resistance to abrasion, dust and debris, UV rays, and bending fatigue. The chain itself is designed to protect the power and control cables against abrasion, environmental factors, and dirt and debris. Energy chain excels in any heavy-duty application in outdoor weather, or dirty environments like steel mills, cement plants, shipping or container yards, offshore facilities, etc. Specialized components can be added for outdoor applications to add additional abrasion protection, as well as UV resistance to cables in high heat environments and protect against liquid corrosion. The chain itself can also be fully enclosed to add additional cable protection against dirt and debris, wood chips or metal shavings. The flexible chain design is configured to offer a wider turning radius which helps to protect the wires from bending fatigue and prevents broken wires. Energy chain can be configured in many different ways, including with integrated wheels and guide tracks (shown here). This type of chain is ideal for applications with long travel lengths, special and high travel speeds, and quiet operation. Compared to festoon systems, which can suffer from corrosion and general wear in demanding operating environments, energy chain is virtually maintenance free—requiring only a visual inspection to ensure the chain is in good working condition and to check for wear or damage to the cable. Festoons require scaffolding or man lifts to access the crane’s electrification system and multiple components need to be inspected for wear, corrosion, or damage. Energy chain also utilizes a special highly flexible cable which resists fatigue and broken wires to extend the cable’s service life. Are There Disadvantages to Using Energy Chain Electrification? On most crane systems, the cost of implementing an energy chain electrification system can be higher upfront than a traditional festoon, conductor bar, or cable reel system. Traditional electrification systems can be more cost-effective than energy chain on indoor cranes with a lower usage and lower duty cycle. Also, careful thought has to be given to whether you want to use push button pendant or remote radio controls on your overhead crane system. On cranes using push button style controls, the pendant still has to be festooned to the crane or located off of the hoist or bridge panel. At this time, energy chain systems are most compatible with radio remote control systems. Energy chain being installed on a Ship to Shore crane. Energy chain may not be the best choice for all crane applications, but in specific situations where there may be low headroom or a demanding operating environment, it may provide the most long-term cost savings. For maintenance or production personnel in a high-output or demanding operating environment, the long-term benefits of an energy chain system will be the ease of installation and maintenance. An energy chain system will only require visual inspections to ensure the cable carrier is damage-free and that the cables are traveling within the optimal bending radius. Progressive Crane and FHS, Inc. we have over 40 years experience in designing and manufacturing overhead cranes. Our Service division can also inspect, repair, or upgrade any type of overhead crane system. If you’re thinking of adding another crane to your facility, or you’re interested in upgrading and replacing the electrification system on an existing crane, please contact us to schedule a consultation. Images courtesy of igus®. Visit their website to learn more about their energy chain products!